Staro is a 360 camera with seventeen lenses and it has a photo resolution of 136 megapixels (a little more than 16k x 8k), which is the highest resolution 360 photo from an all-in-one camera, edging out the Panono (108 mp) and the Aleta S2 (118 mp). Besides the ultra-high resolution, I was also surprised at the Staro’s size. 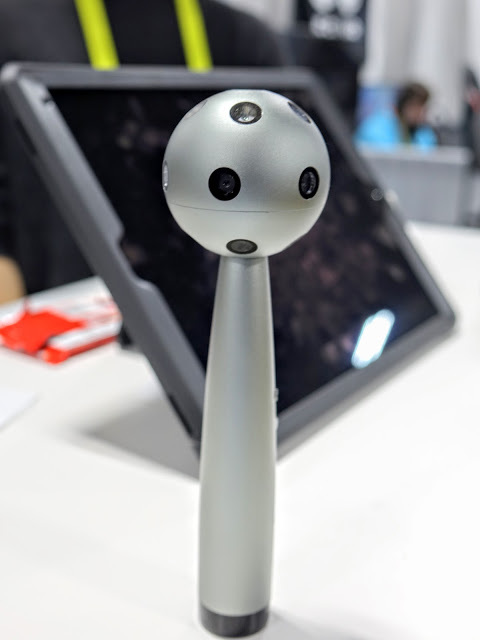 The sphere is only about 2 inches (5 cm) in diameter, smaller than even the Samsung Gear 360. Besides the convenience of a small size, it also means that there is a smaller distance between the lenses for less parallax stitching error. Another feature of the Staro is that unlike most 360 cameras, it does not use fisheye lenses. This has the advantage of having more consistent sharpness across the field of view of each lens. (By contrast, the Nikon Keymission 360 and Ricoh Theta for example have noticeable drop-off in sharpness toward the edge of each lens). The rep said it stitches the images in-camera, although that part sounds too good to be true, so it could be just a miscommunication. I will inquire further. The Staro costs about $1,500 (slightly less than the Panono). However, the rep said they are planning to create a consumer model with a lower resolution but otherwise similar design, with a target price of $500. Here is their official webpage. Here are sample photos. Hello. I also tried to contact them and they don't respond. It seems there is no way to buy this camera. Maybe you might like Panono camera instead. Do you have any updates about the Staro? Is this camera released? Going to be released? or did it fail to launch? Website links are 404. Hi Emilio. Staro is dead. 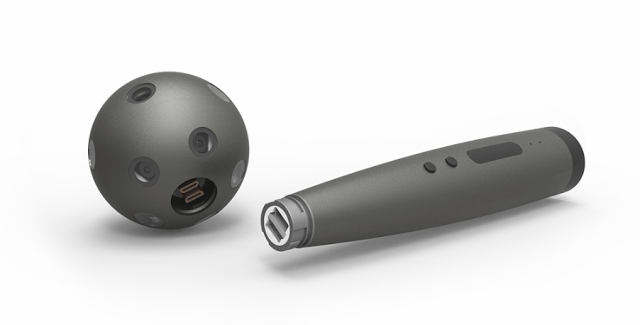 This is such as shame as a product with the proposed specifications in this shape and size is EXACTLY what I am looking for and I would gladly pay $2k for a quality product… Are you still in contact with the developers of this camera Mic? Could they sell or pass on their research to Insta360 or another hungry startup?